This month, we are thrilled to welcome Myles Bates to the team. 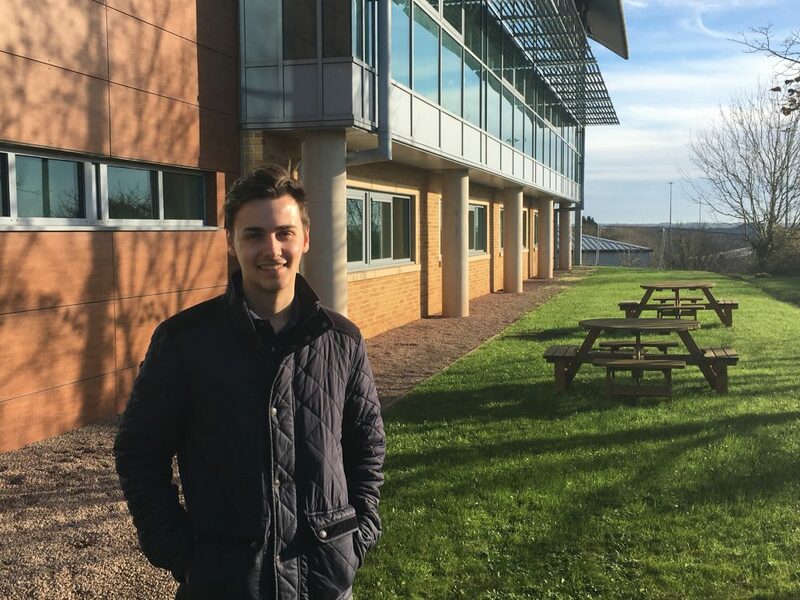 Myles joins ITERATE Design + Innovation after completing a Masters degree in Engineering Design at Bath University and spending a period of time working with Orsus Medical; the developers of a real-time non-invasive blood glucose monitor. As part of his postgraduate research, Myles explored how TRIZ (Theory of Inventive Problem Solving) could be applied to improve the precision and accuracy of such glucose monitoring technology. Myles will play a key role in helping the company deliver the Integrated Manufacture of Polymer and Conductive Tracks (IMPACT) project over the coming months. IMPACT is an exciting InnovateUK research programme that involves: the University of Warwick; Printed Electronics Ltd; and C Enterprise (UK) Ltd; who will be combining their knowledge to produce a disruptive 3D printing technology that is able to deposit conductive ink as well as polymer filament. Myles will be tasked with identifying the product advances and applications that could leverage this technology in the future. One possible application for this technology is in the area of prosthetics and more specifically – bionics. 3D printing offers huge benefits to this sector as prosthetics can be quickly produced at a relatively low cost, which is ideal for children and young adults whose body shape is constantly changing. Being able to print conductive tracks within a prosthetic that requires electronic controls will eliminate the need for wires; in-turn reducing weight and improving ease of assembly. Myles brings experience to the team in this area of development after creating the ‘Hero Hand’ as part of his undergraduate degree in product design at Cardiff Metropolitan University. Hero Hand was an Iron Man themed prosthetic for young children that utilised Myo gesture control technology.